This provides a distribution map and accompanying text for 2412 flowering plants and ferns in Great Britain and Ireland. 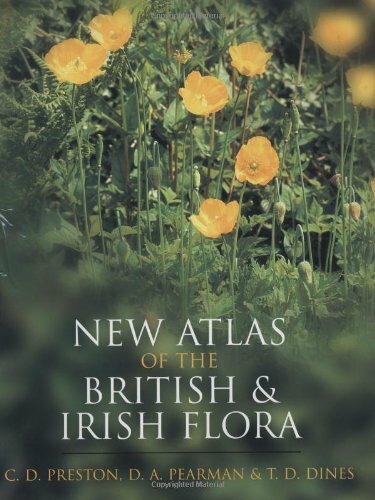 It presents an up-to-date summary of the range of British and Irish plant species, replacing the Atlas of British Flora (1962) and demonstrating the large changes which have taken place in the range and frequency of many species since it was published. All native species and all the commoner hybrids and introduced species are covered, together with some subspecies. The distribution maps are based on a database of over 9 million records, including nearly 5 million records have been collected since 1987 by over 1600 volunteers; pre-1987 records are shown on the maps as separate symbols. The accompanying text describes the habitat of the plant, summarises changes in its distribution, includes the dates of introduction of alien species, briefly outlines its European and wider distribution and provides key references for further reading. Introductory chapters deal with the history and organisation of recording project and summarise some of the major changes which have taken place since the 1962 Atlas. The records and text for the mapped species, and over 900 additional rare aliens, are summarised on an accompanying CD-ROM. Users of the CD-ROM will be able to view and print distribution maps, captions and associated data tables, as well as manipulate the data to produce additional maps such as co-incidence maps and add overlays containing environmental information.